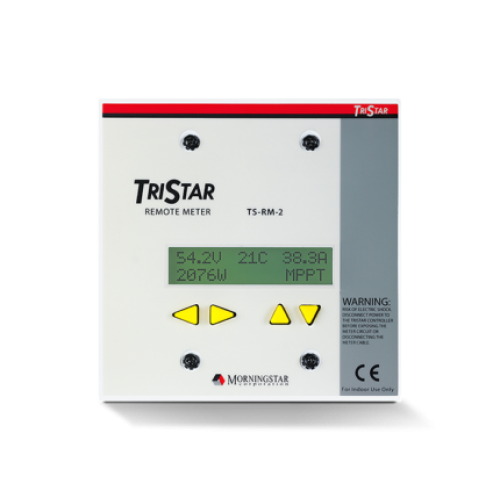 The meter is compatible with the TriStar, TriStar MPPT, TriStar MPPT 600V, and MeterHub. It displays the same data as the TS-M-2, however, it does not mount to the controller. It ships with 30 meters of cable and a flat face plate for convenient mounting away from the controller. The meter enables manual functions and controller diagnostics. These capabilities will increase your confidence that the system is working properly and will help you to improve system reliability, battery life, and system performance.